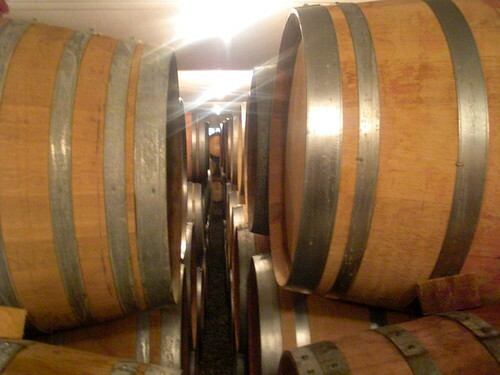 We’re in the barrel room of Fielding Estate Winery where all the fun takes place. Winemaker Richie Roberts is pulling samples of his sleeping beauties with a giant-sized thief. He’s excited about what lies ahead as winemakers are wont to be. The next great vintage is always around the corner. I have tasted many times with Roberts and have come to understand his style. At the core is a mid-tier range of red and whites wines that can be trusted vintage to vintage. The Rieslings, Chardonnays and some of the finest Pinot Gris in Niagara on the white side. 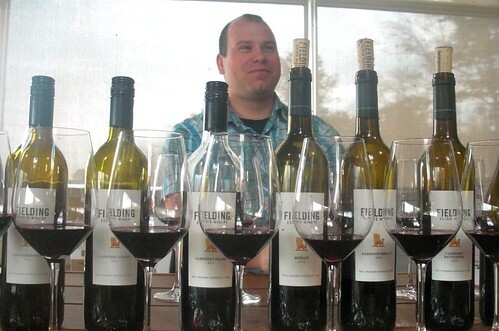 On the red side, Roberts mixes and blends various varieties to best suit the vintage from an assortment of estate (Beamsville Bench and Tufford Road vineyards) and sourced fruit. He has become a master of the red blend. He has created some buzz wines, as well. The Lot No. 17 Riesling, the Rock Pile Pinot Gris, the Chosen Few proprietary red blend and Meritage from 2007, the much awarded Syrah from 2007 and the mysterious Vignoles icewine. But in the barrel cellar, the dark, damp, chilly room where a steady stream of pumped in music is the only sound, there’s always something new percolating in the darkest corners. He draws a steady thief full of something odd and pours it into a tasting glass. It’s not quite red, not quite white. It appears as a cloudy pumpkin-copper colour as he holds it up to a single light bulb. It is intriguing, beguiling in under the soft glare of an incandescent light bulb. He tells me it’s a single barrel of Viognier that was crushed and fermented on the skins, just like a red wine. Roberts used wild feast to begin the fermentation and then inoculated the juice to finish the process. It reached 14.5% alcohol. It is, essentially, an “orange” wine, or at least heading in that direction. Roberts isn’t sure yet if he’ll attempt to bottle that style of wine or blend it off into something completely different. 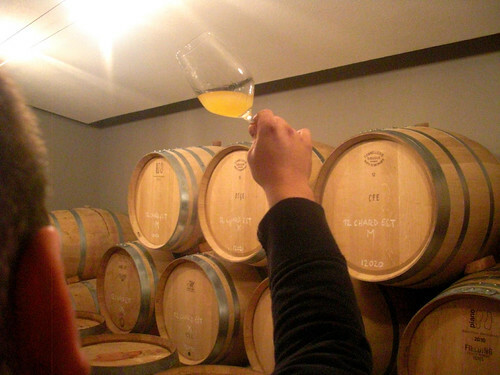 Wouldn’t it be fun to see and taste Niagara’s first orange wine (at least that I know of)? 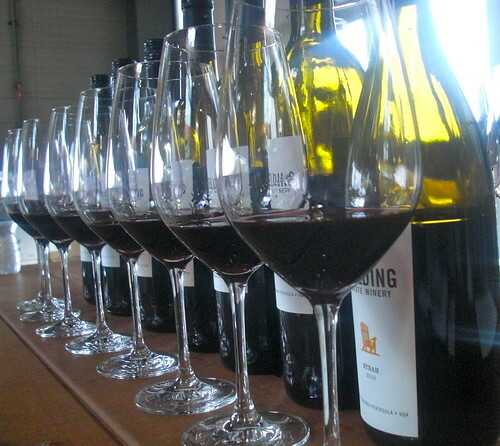 We taste the wine (which is in its infancy) and it is exciting, so different, so unlike any other wine. It has the fullness of a red wine yet maintains an exciting citrus-tropical aspect that is lively and propped up by juicy acidity. There is astringency and tannins in the mouth with orange rind, fleshy red fruit notes, roasted nuts and melon flavours. It is much more complex than a white Viognier, with a firm structure all the way through the finish. These so-called “orange” wines are becoming more and more popular in the wine world. They are the ultimate “geek” wines. Many of them are aged in a way that gives them a nutty, oxidized pungency that some compare to sherry. Due to the juice’s extended contact with the grape skins, deep pigments, tannins, and astringency, which is typically associated with red wines, gives these wines their personality. The practice has a long history in winemaking dating back thousands of years to the Eurasian wine producing countries of Armenia and Georgia. In recent years, however, the practice has been adopted by Italian winemakers, initially in the Friuli-Venezia Giulia wine region, with production also in Slovenia, Croatia, France, Germany, New Zealand, and California. I tasted through the 2010 reds with Roberts, some of which are already released and some that will be rolled out over the next few months. A year such as 2010 is a dream vintage for Roberts who revels in the meaty grapes of Syrah, Cabernet Sauvignon, Merlot and Cabernet Franc. Give this man good, ripe fruit and he’ll deliver good red wines. If he can’t make them at the top level in any given vintage he’s not afraid to declassify the grapes into the portfolio’s mid-tier blends. That has been the biggest improvement at Fielding since Roberts came on board in 2007. A full white wine portfolio was already established, so Roberts set out to balance it out with a solid red wine program. “I want people to say our wines are always consistent,” he says. That is the most important factor for Roberts, a red and white portfolio that consumers can trust year to year. Here’s what I tasted and liked from our tasting. 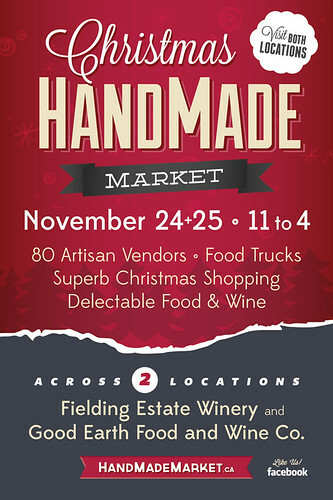 NOTE: Fielding Estate and the Good Earth Food and Wine Co. are hosting a Christmas Hand Made Market on Nov. 24-25. There will be 80 artisan vendors featuring jewelry, pottery, hand-sewn bags and accessories, preserves, fresh seasonal arrangements, natural bath and body products, original art, designer clothing, home decor, luxury hand-spun fibres, artisan wood products and time pieces, leather goods, hand bound books, estate honey, and lots more. Food trucks and gourmet food will also be on hand including El Gastronomo Vagabundo, Dobro Jesti, Tide & Vine Oyster Co. and Cupcake Diner as well as gourmet market fare by chef Michael Pasto and Sweets in the Schoolhouse. Fielding Estate Red Conception 2010 ($19, winery and LCBO, 88 points) — The name for this popular red blend is inspired by the estate’s Jack Rabbit Flats Vineyard, once a very popular “parking” spot among locals (wink, wink). The blend consists of Merlot, Cabernet Sauvignon, Pinot Noir and Syrah. The nose reveals crushed currants, blackberry, cassis and savoury spices. The darker fruits are ripe and juicy on the palate with decent structure and tannins and not overpowered by the oak treatment. Would pair nicely with myriad cuts of red meat. Fielding Estate Cabernet Syrah 2010 ($25, winery, 90 points) — A blend of mostly Cabernet Sauvignon and Syrah with a touch of Cab Franc. What a fantastic nose of roasted meats, black cherry, rousing spices and licorice-tar notes. This is a serious red from a brilliant vintage in Niagara and displays rich red and dark fruits, boysenberry, anise and oak spices that come together beautifully in the mouth. One to hold on to for a few years. Fielding Estate Merlot 2010 ($30, winery, 91 points) — Roberts did not make his Merlot into a single variety bottling in either 2008 or 2009. It was all blended into various wines. It is chosen from the best barrels from three vineyards with only 150 cases produced. The nose shows a mélange of red fruits with imbedded vanilla toast and oak spices. There is a prettiness to the fruit, a sense of restraint that suggests a youthfulness that will mature with time. It is highly structured on the palate with firm tannins but still the layers of cherry and raspberry fruits shine through, with some earth and licorice, but, for the most part, a well-rounded Merlot that lets the fruit do the talking. Cellar three years or more to soften those tannins. Fielding Estate Cab-Merlot 2010 ($35, spring release, 92 points) — This was previously called Meritage and is a blend of Cabernet Franc (42%), Merlot (33%) and the rest Cab Sauv. What I am discovering with the 2010 red blends, compared to the last great vintage of 2007, is they have more finesse and balance. The nose on this beauty shows cherry, cassis, blackberry, vanilla and toasty-oak nuances. There isn’t as much earth as 2007 as the fruit dominates the nose and palate. There are some savoury-smoky herbs in the mouth but they only play a supporting role to the rich, layered cassis and dark cherry flavours to go with ripe tannins and uplifting acidity through a long finish. Decant for a couple of hours upon release or hold for a few years in the cellar. Fielding Estate Syrah 2010 ($35, winery, 89 points) — A serious Syrah, sourced from the Lowrey vineyard in St. Davids, with those deep, rich earthy aromas that’s big and beefy on the nose with dark fruits just beginning to emerge. It comes packed with a full range of flavours on the palate including roasted meats, white pepper, boysenberry, bramble, blueberry, cassis and peppery spices. Needs time to come together but it has the structure to last. Or drink now with lamb stew or charbroiled steaks.